1991-2019... 28 Years of Fun! Big Air Trampoline Park... High-Flying Fun for the Whole Family! 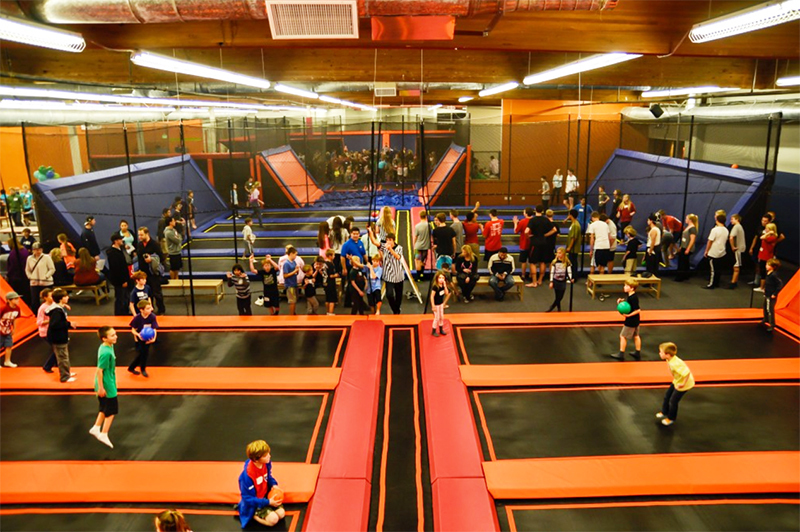 These premier indoor trampoline parks, with convenient locations in South Orange County and North Orange County, offer high-flying fun for the whole family! You can literally bounce off the walls! The 17,000 square feet of jumping surfaces include a great variety of activities and challenges that are fun for kids of all ages. Its no surprise we are southern California's premier birthday party destination! The Bullpen - It’s Here! The newest attraction at Big Air will put your core to the test in classic cowboy fashion. Main Court - Flip and fly in our matrix of trampolines in every direction. 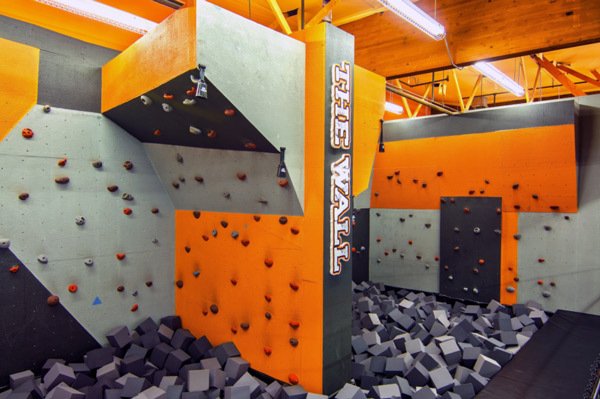 This is one of the few places on earth where we actually encourage kids to jump off the walls! Battlebeam - Challenge your friend in a one-on-one jousting battle while maintaining your balance over a pit of foam. The winner’s bragging rights are the ultimate prize! The Wall - Test your climbing skills on either of our intense courses. There are few things more satisfying the victory bell letting everyone know that you just conquered The Wall. The Pit - Launch through the air into our massive foam pit like you’ve never flown before. Lil’ Air - Our designated space for our smaller guests to jump worry-free. 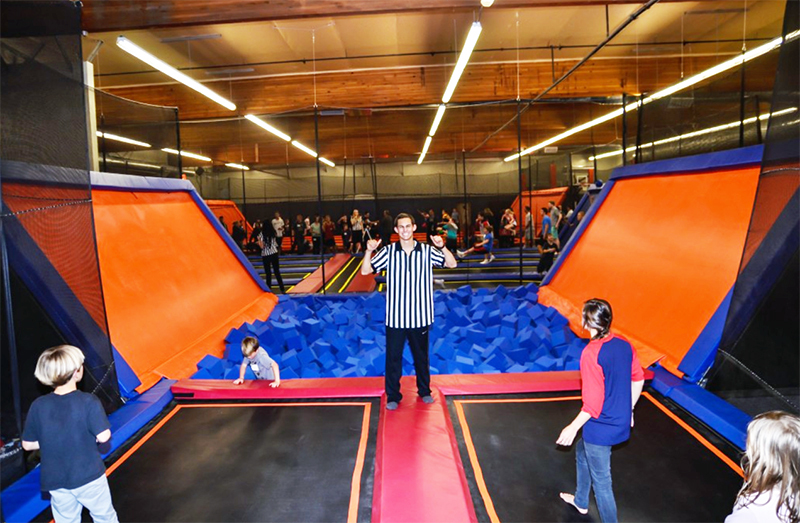 Dodgeball - The playground classic is reimagined in high-flying 3D on our specially designed trampoline Dodgeball courts. Bring a whole group or challenge strangers, just don’t be mad when our ref blows the whistle when you get nailed by an eight year-old! Dunk Courts - Finally you can play above the rim like Kobe! 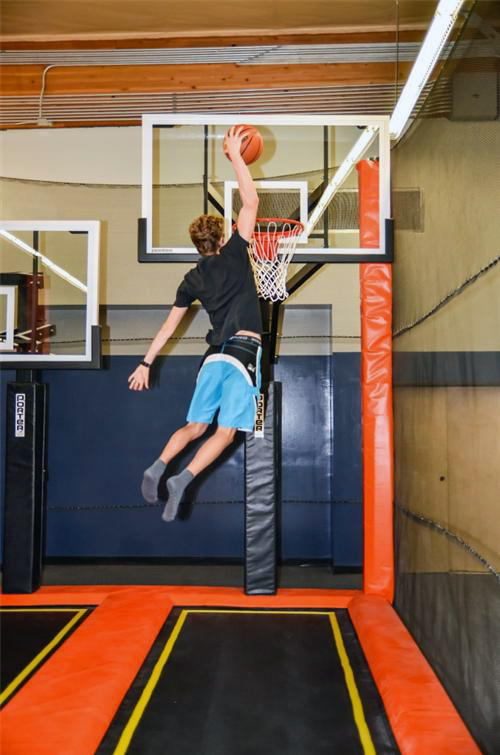 Our varying rim heights accommodate smaller jumpers and guys who are jumping out of the gym. InstaPrint eTickets are available immediately upon completion of your order and they will also be available in "My Account" for 60 days. An email with ticket links will also be sent from MyTickets@funex.com. Sales are final, no returns or refunds. Valid for ONE HOUR Jump Time for ONE person only at Buena Park location on any regular operating day, based on time availability. No expiration date. This InstaPrint eTicket will be available immediately after purchase. No returns or refunds on InstaPrint eTickets. Valid for ONE HOUR Jump Time for ONE person only at Laguna Hills location on any regular operating day, based on time availability. No expiration date. Valid for TWO HOUR Jump Time for ONE person only at Buena Park location on any regular operating day, based on time availability. No expiration date. Valid for TWO HOUR Jump Time for ONE person only at Laguna Hills location on any regular operating day, based on time availability. No expiration date.